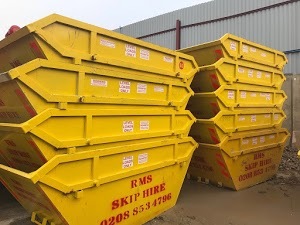 RMS Skip Hire is a full-service waste management company offering quality skip hire and wait and load services in Charlton. Our fundamental objective is to meet your needs by providing exceptional skip hire solutions at an affordable rate. Committed to making the skip hire and waste management process as simple as possible for you, we strive to satisfy your requirements. With a desire to excel at everything we do, we end up outperforming your expectations. We aim at providing the highest level of customer service to every client that uses our services. Our skip hire and waste management professionals can provide the best skip hire solutions both for individuals and businesses. So, whether you need quality skip hire solutions for residential, commercial or industrial project, you can rely on us. Our clients are our most valuable possession so we aim at building lasting relationships with them. We understand our environmental responsibility; therefore, we offer only eco-friendly skip hire and waste management solutions. After collecting the waste from your premises or the job site, our waste management professionals segregate all the recyclable waste from non-recyclable waste. We transport every single recyclable item to the nearest recycling facility to minimize the burden on landfills. We also have significant knowledge of arranging Skip Hire permits, so if you need one because you don’t have sufficient space at your premises or the job site to place skips, we can help. If you are hiring the skips for the first time, we will guide you in selecting the right skips to meet your project needs. Whether you run a construction firm in Charlton or you live there with your family, if you need top-notch skip hire solutions, look no further than RMS Skip Hire.